The Philadelphia 76ers will try to finish up their homestand with a win over the San Antonio Spurs as they ride a 3-1 SU and ATS run into Wednesday’s contest. The Philadelphia 76ers are 8-3 straight up and 6-5 against the spread over their last 11 games. The 76ers hope to keep things rolling when they face the San Antonio Spurs at home on Wednesday night. Philadelphia opened as a 4.5-point home favorite on the NBA odds at sportsbooks monitored by OddsShark.com, but that line could be on the move with both Ben Simmons (illness) and Jimmy Butler (wrist) heading into Wednesday questionable. Since failing to cover the spread in their previous three games, the 76ers are 3-1 SU and ATS over their last four games. James Harden came into town on Monday and continued his amazing offensive run with 37 points against Philadelphia, but the 76ers got the last laugh as they cruised to a 121-93 victory at home. Joel Embiid scored 31 points and snagged 14 rebounds in the win to bring his season totals to 27.1 points per game and 13.2 rebounds per game. With Embiid playing at a high level and Butler, JJ Reddick and Simmons backing him up, the 76ers have one of the best starting fives in the NBA. 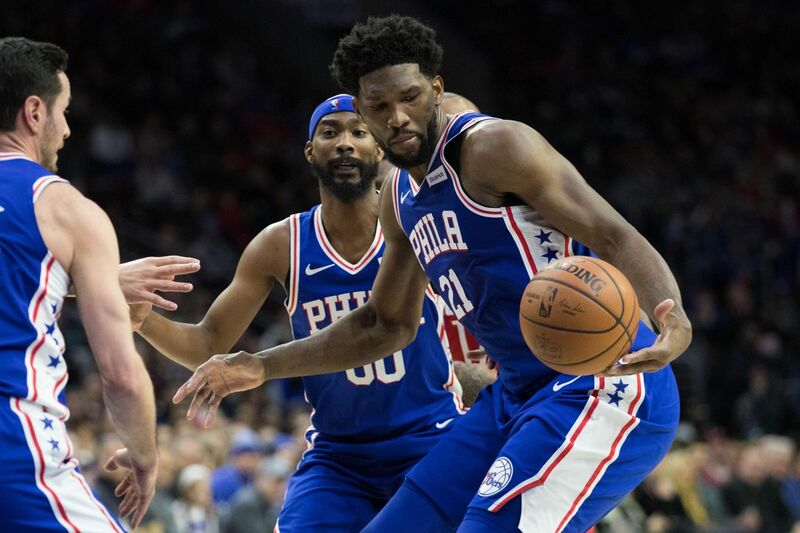 So far this season, the 76ers have been dominant at home with a 20-5 SU and 14-11 ATS record through 25 home games per the OddsShark NBA Database. San Antonio rolled through December and the early part of January with a 13-3 SU and 14-2 ATS run. That run has hit a snag over the last two weeks however as the Spurs are just 3-4 SU and ATS over their last seven games. Without much offensive firepower behind DeMar DeRozan and LaMarcus Aldridge, the margin of error for the Spurs on a night-to-night basis is low; they have to be dialed in on defense and to make the most of their offensive possessions. The Spurs are 8-2 SU in their last 10 games against Philadelphia. The UNDER is 7-3 in the last 10 games between the Spurs and the 76ers at online sports betting sites for totals bettors. The Spurs have played well this season, but to secure their playoff position they may need to play better on the road down the stretch as they are 9-14 SU and 11-12 ATS away from home this season. San Antonio has won its last two road games, but going into Philadelphia to face the hot 76ers will be a much tougher test.